In August 1876 voters of St Louis County went to the polls to decide whether the City of St Louis should separate from the County. The vote failed 12,276 to 14,142. The results were challenged and a judge’s recount after tossing out suspicious votes indicated passage. Several attempts, the first in 1926 have failed to reunite the two. The economic, political, and demographic trends of today indicate that it is time to reunite lest we continue our slow drift towards insignificance. The short-sighted separation plagues the region to this day. We shoot ourselves in the foot on a regular basis. Whether it is Tax Increment Financing (TIF) for retail, business musical chairs, highway speed cameras, “Most Dangerous” lists, wasteful, redundant services, tiny municipalities that offer few services to their citizens, neglecting old infrastructure while building new ways to leave, or declining population, the evidence is growing that our current arrangement is not working. We lose jobs to other regions and countries and trade jobs amongst ourselves while handing out millions of dollars to do so. We waste incentives on retail rather than attracting businesses from elsewhere or nourishing our own start-ups. We tax ourselves to maintain separate fiefdoms. We relish schadenfreude at our neighbors’ problems while other regions try to solve them. We are beholden to 19th Century governmental paradigms while other regions march into the future. The issue came to the forefront in the most recent St. Louis County Executive election. Despite some backpedaling by County Executive Dooley (understandable considering his opponent’s exaggeration of his position), Dooley appears to understand the threat as well. The position of the Board of Alderman and the County Council need to be investigated. I have received supportive feedback from some Aldermen. Citizens are becoming more aware of the waste that occurs by having so many municipalities and redundant services and the oddity of a separate City. We must seize on this momentum and push for reform. Demographics are changing. Since 1950 despite all the moving, all the building, and all the growth in the County the combined City-County population has grown by only 55,103. That’s 0.07% annual growth. This decade shows a reversal of trends. For the first time the population of the County declined. Median household income in the County grew at 1.6% annually while in the City it grew by 2%. The trends that indicated the City’s decline are becoming significant in the County. Are we going to waste the next 50 years moving and building up the surrounding counties or change how we do things here and move forward together? Do we have the resources to undertake yet another migration? Are we going to work to make what we have more attractive or abandon it? Are we going to let a decision by people long dead continue to hamper our future? We should not and can not. I cross the county border every day. You can’t tell the difference. It’s an invisible line among many around here that leads to stagnation. Let’s accept that we are interdependent. I’m not a native to St Louis. I came here for college and am one of those young professionals who have not fled. I bought a house in the City and work in the County. I recently turned 30, and this leads to introspection. I like it here. I’d like to raise a family here, have a career here, and grow old here. In the 12 years I’ve been in St. Louis I’ve seen steps forward and steps backward. I’ve seen the waste and shenanigans our arrangement promotes. I’ve seen the potential and the road blocks. I have 50 years to potentially invest here; why invest in a loser? I’m tired of being a spectator; it’s time to become a participant. Three reforms would go a long way for the region: City re-entry into the County, TIF reform, and legislation to compel small municipalities of the County to combine or dissolve. We must focus on one, and I think that should be City re-entry into the County. It is the most politically viable and minimally invasive City-County reorganization option. It has been in the limelight recently, and we must capitalize on the momentum. It preserves the right to self-determination yet sets the table for more cooperation and consolidation. There are groups already working on these issues and ready to push for reform. I’ve been to meetings of two: STL-World Class City and Tomorrow STL. Both efforts have been brought to this point by exceptionally motivated people. We need your help! We must educate ourselves, develop a solid web presence, raise money, meet with community stakeholders, promote community discussion, garner endorsements, push our representatives, wage a campaign, and convince our neighbors to vote in favor of re-entry. 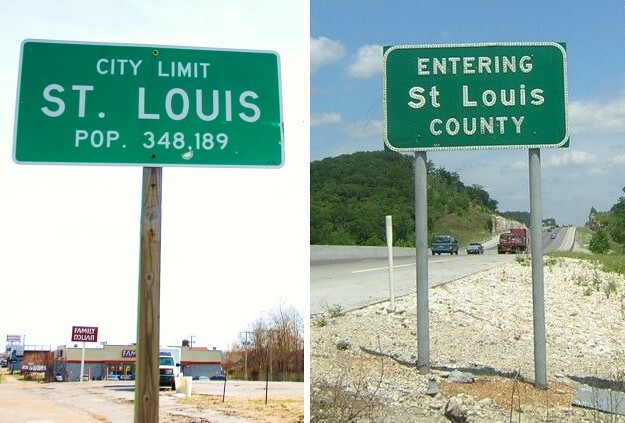 *Originally Published April 13, 2011 on nextSTL.